Big, very dense and yes also weird could be a way to describe this true find - and one i'm very proud of having in my collection a new treasure to add to my ever growing collection. This majors only deck was printed in 1979 in Paris in a limited edition of 303 decks by the Mouvement Nouvelle Civilisation a French esoteric organization and comes in a nice wooden wooden hinged box with a bronzed Egyptian symbol nailed onto it as it's title on a paper sticker - the cards have the look and feeling of meditation or study cards with has the effect of not always giving the most esoteric result but intriguing it sure is! 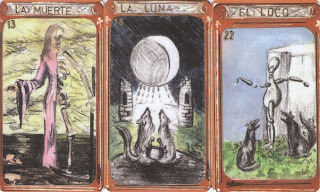 The deck is populated by Amazon-figures, who populate almost each card, and filled with Hebrew letters and other esoteric symbols.The Tarot de l'Etoile has a very unique look that sets it apart from all others often if not always departing radically from set images. 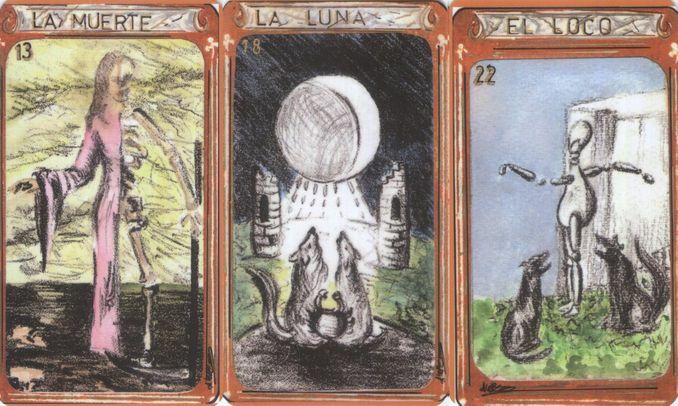 I love doing these little discoveries, decks or artists no one has heard off before, makes me fee like one of these explores from times gone by, there are no new countries to discover yet decks there are always and this Argentinian deck certainly was a real find! There is something fresh to artist who come from 'outside' the tarot world, but decide to study the tarot as yet another way to express themselves, a hook on witch they can hang their art on. 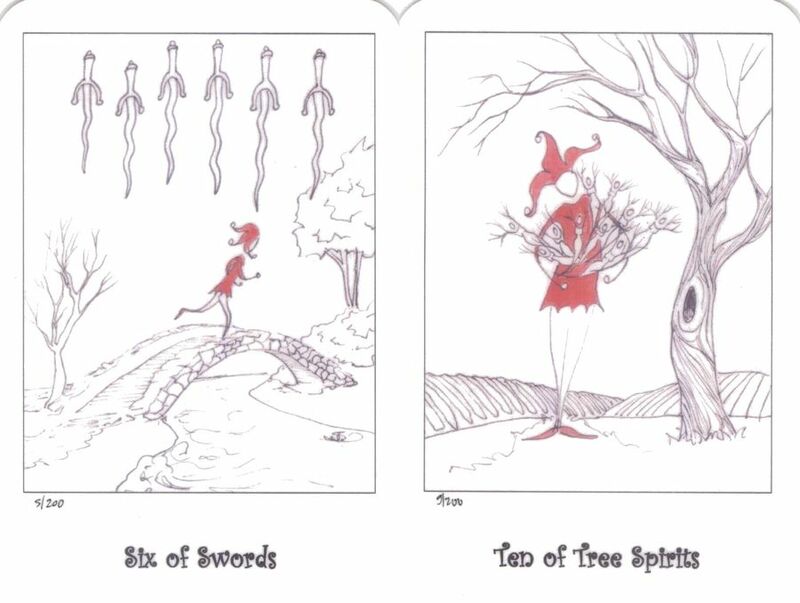 Miss Coirini apparently has been working for quite some years now within the tarot structures, studying it, by herself and through interactions with other tarot students the result of this being a deck that not only look nice to the eye but also has meat on it bones, enough even to be a workable deck. The deck she used as a starting point is the 'Tarot de Marseille' and knowing my fondness for the neo-Marseilles I just had to have one! 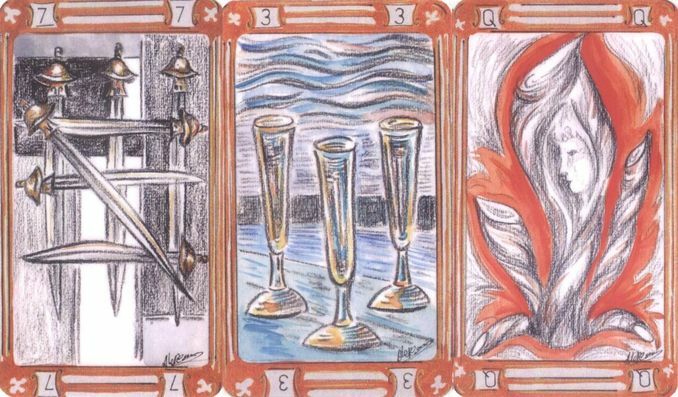 The result looks far very far even from the classic TdM, and will surely horrify the Marseilles-purists among us but yet it also feels right in a way, and who am I to contradict the artist when she calls her deck 'Marseilles' anyway (for me it's close enough to be counted). Elegant balanced and through the techniques used by the artist this deck has character in the most positive way of the word. 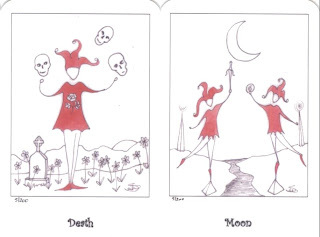 I do love Beth Seilonen's decks they breath such a cheer and light hearted atmosphere a what the French would call "Joie de vivre", and who said tarot has to be all serious dark broody and heavily mysterious? 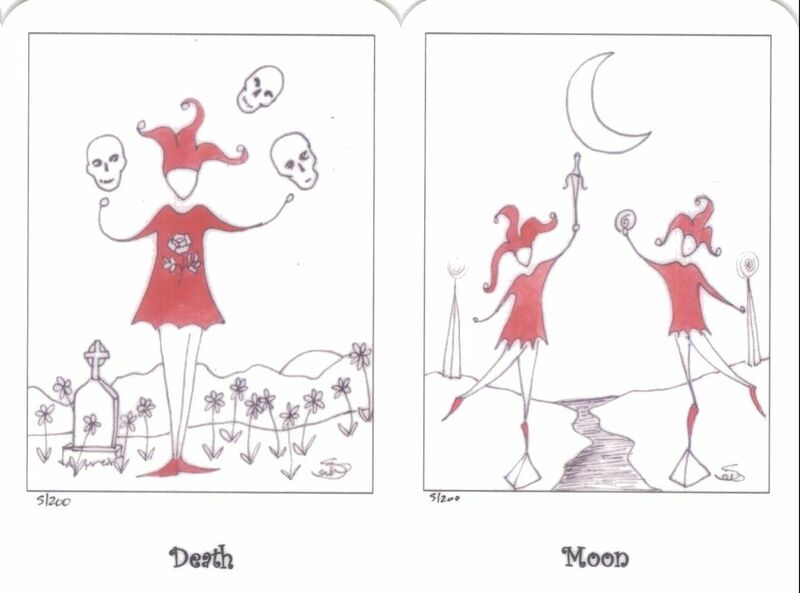 Well certainly not me, tarot can be dark symbolically hermetic etc... but it can be also fun and happy and equally be valid!